AmSoc Rio has a full calendar of community activities and charity events, which they have been hosting since the organization’s founding in 1917. RIO DE JANEIRO, BRAZIL – Living as an expatriate in a new country can be hard when faced with the task of settling into a new community. Fortunately, Rio offers a number of well-established societies to connect with other estrangeiros, and one of the largest of them, The American Society of Rio de Janeiro, has just turned 100 years old. The American Society of Rio de Janeiro has as a full calendar of community activities and charity events, photo by AmSoc Rio. AmSoc Rio has around 100 current members and a much larger email list, as well as a full calendar of community activities and charity events they have been hosting since the organization’s founding in 1917. Thobani shares a little history. 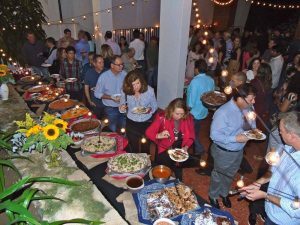 In the calendar of events each year, one of the most important for the society is American Thanksgiving, and AmSoc Rio has a history of putting together the largest in Rio de Janeiro. This year on Thursday, November 23rd, from 7-11PM the celebration will once again be at the Marriott Hotel in Copacabana. 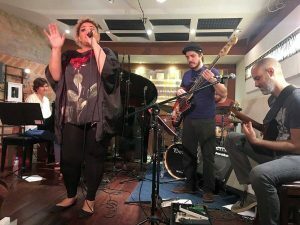 One of the events The American Society of Rio hosts is New York jazz singer Alma Thomas performing in Lapa, photo by AmSoc Rio. To find out more about AmSoc Rio, visit their web site or Facebook group. Membership is open and they are always looking for new volunteers for their Board to help guide the organization. Upcoming events include their monthly Board Meeting on October 9th, a Pancake Breakfast on October 21st, and an Architectural Tour on October 28th.